ASCA members are a diverse group, ranging from professionals who consult 100% of the time, to those who offer consulting as one of their many services, to those just considering consulting. Whether you view consulting as a career path or an additional service to offer your clients, it’s essential that your work products be of the highest quality. The American Society of Consulting Arborists (ASCA) sets itself apart by focusing exclusively on consulting and can help you build and strengthen your existing skills. Since 1967, ASCA has helped passionate professionals like you succeed as Consulting Arborists. ASCA provides its members with the tools and knowledge they need to deliver stronger work products for their clients as well as the ability to expand into practice areas not previously considered. Membership in ASCA is an investment in your continued professional development. From the educational information you’ll receive to the connections you’ll make, being part of the ASCA community will help you grow your consulting practice. With education specifically developed to help you expand your career as a Consulting Arborist, ASCA offers training on topics you won’t find anywhere else in the industry—report writing, appraisal, professional practice guidelines, forensics, dispute resolution, expert testimony, and more. And as a member, you can access all of our educational offerings at discounted rates. ASCA members receive additional exposure and referrals through the “Find a Consulting Arborist” online directory—used by both property owners and industry professionals (e.g., attorneys, claims adjusters, developers, municipalities, urban planners). 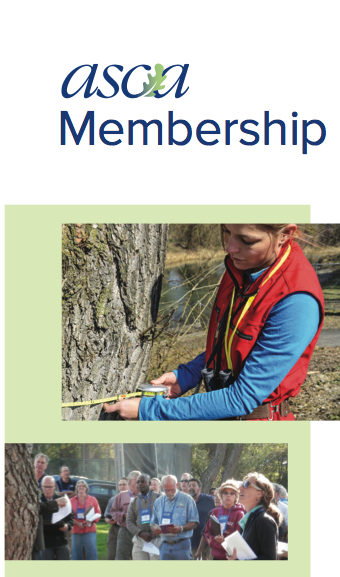 ASCA is the only arboricultural association that requires its members to have a minimum number of years of industry experience as well as meet educational requirements. Just being able to tell your current and prospective clients you’re an ASCA member increases your credibility and marketability—helping you stand out from the competition.